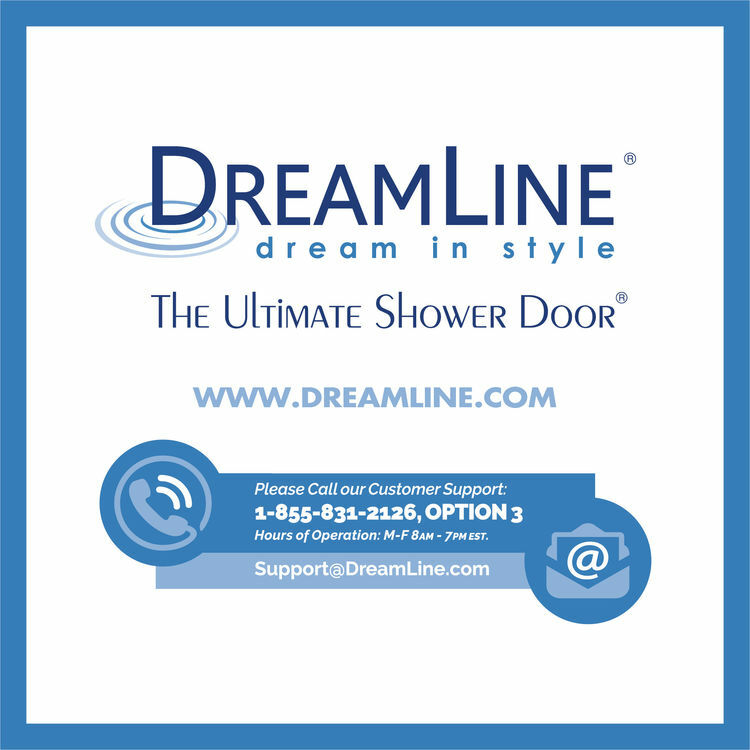 DreamLine's SHDR-20417210CS-09 is a Unidoor Hinged Door that will run the gamut from quiet simplicity to utter glamour and luxury. 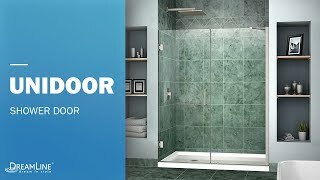 It is a 41" - 42" x 72" shower door enamored with a frameless design for a space-friendly feel while leaving zero distractions from any bathroom dcor. Graced with clean lines and updated accents, it will bring elegance even to the simplest bathroom theme. 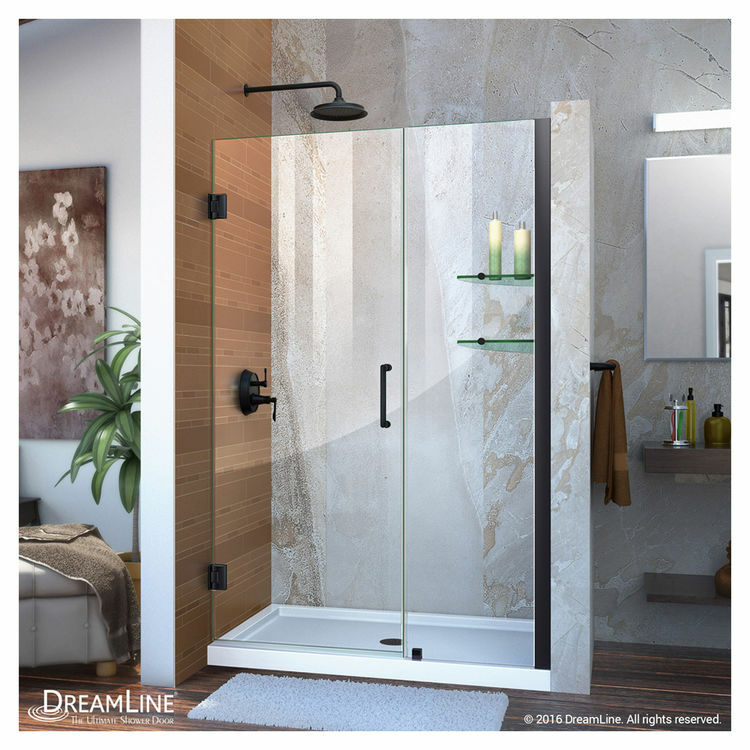 This DreamLine Shower Door appears to be the epitome of the all-American quality and durability. Not only does it come with an adorable, delicate design but it also has superior functionality about it to boot.  It is reversible for a right or left door opening depending on your preference. A modern twist is its satin black-finished hardware that defines mystery and perfection. 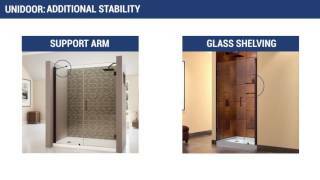 Another great thing about this hinged door are the luxurious, ANSI-certified tempered glass panels that are proven durable and practically unbreakable. Whats more, it parades DreamLines exclusive ClearMax coating that makes it resistant to water stains, making cleaning and maintenance a piece of cake. 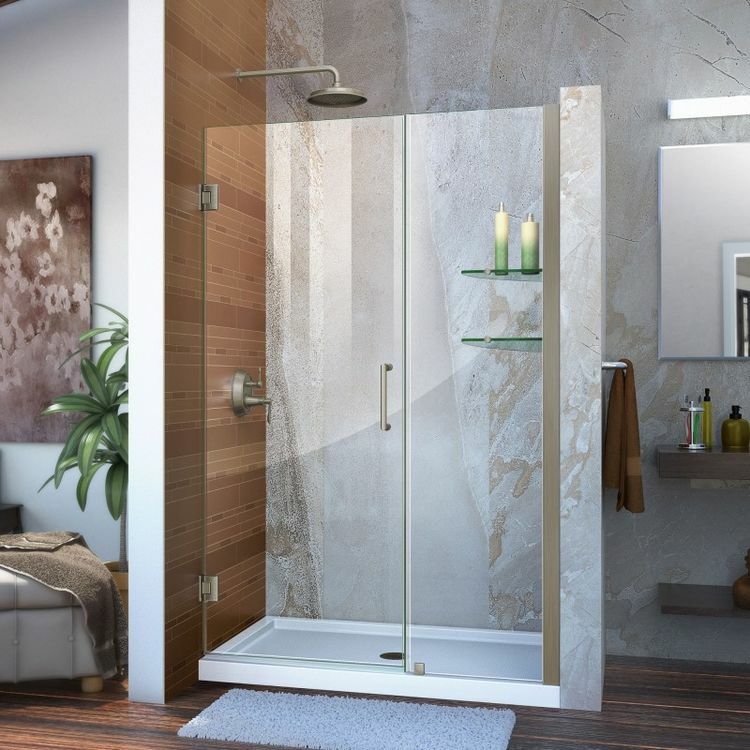 Another awesome feature is the self-closing solid brass hinges that enhances convenience so you are carefree each time you walk into the shower! Plus, it comes with 2 glass shelves for added comfort. 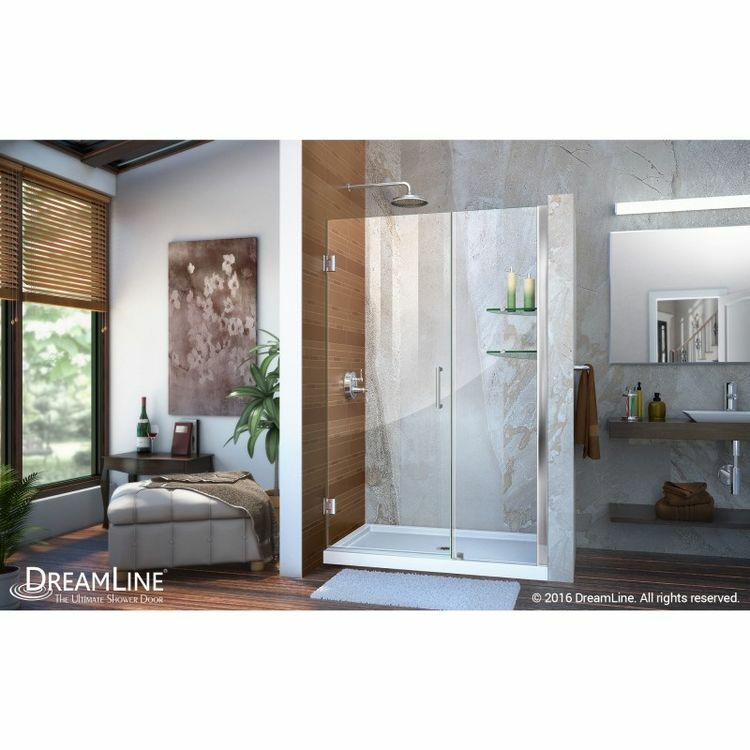 This DreamLine Swing Door has a walk-in opening of 22" and a door width of 23". The inline panel measures 18" - 19". Add to this a matching SlimLine shower base and your bathroom becomes a fashion-forward haven. And as if these features are not awesome enough, this DreamLine Swing Door is backed by DreamLines 1-year manufacturer warranty.